But growing up in an expansive compound with interlocking tiles, and without any form of vegetation, did not in anyway diminish the young Ugoeze’s fascination with the environment’s flora and fauna. This partly informed his decision to join the Young Farmer’s Club of St. Patrick’s College, Ikot Ansa, Calabar Cross River State, where he had his secondary education. As far as he was concerned, the double periods set aside for practical agriculture classes, were his best periods because he spent them doing what he really enjoyed-gardening. Apart from the fact that his beds, mounds and ridges in the school farms were some of the best done, he would always go the extra mile to get cow dung or other forms of manure to nurture his crops. “I grew up with my love for plants and nature generally. Till today, I still love nature and plants, and that explains why I have a large garden in my house. I feel sorry for my kids, who do not have the privilege of experiencing practical agriculture. But what they are missing in school, I fill them in with my small garden at home,” Ugoeze said. Over 60 per cent of what used to constitute school farm in St Patrick’s College, Calabar, has either been encroached upon by neighbours of the school, including the Federal Housing Estate, or have been cleared up for other projects. The situation is not peculiar to the Calabar-based school. A similar scenario is playing out in most public schools across the country. “There is no gainsaying that the gradual disappearance of school farms from public and private schools in the country, has not been of great concern to many people in the society, who believe that present day students are being denied the knowledge of basic agriculture and indeed the process, which food gets from farms to dinning tables,” Ugoeze stated. 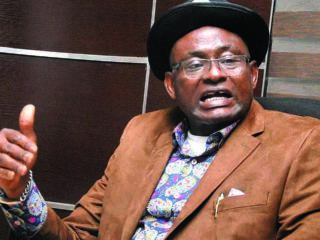 A retired Agricultural Science teacher from Akwa Ibom State, Linus Udo-Ekong, agrees with Ugoeze that basic knowledge of agriculture, agriculture business and the entire agriculture value chain, which were taught first hand are now denied contemporary pupils. The retiree maintained that school farms came in handy when it comes to teaching a variety of subjects, be its crop rotation or evolution of agriculture, even as the practical element helped struggling students to gain a headstart. In other words, the practical lessons helped to shore up the understanding of agricultural practices by struggling students. “The knowledge obtained from practical sessions has not only helped to re-enforce what is taught in the classrooms, it also teaches pupils about eating healthy, how food arrive our homes from the farms, as well as also equip them with first-hand knowledge of how to run agribusinesses,” he said. In the absence of paid employment, Soji Owoeye, a graduate of Mechanical Engineering from the Yaba College of Technology, Lagos, is currently operating a piggery in Ogun State, alongside cassava and maize plantations. Many would have expected Owoeye to engage himself in engineering-related jobs in order to still play around his professional terrain, but based on the vast experience he garnered during his primary and secondary school days, he took to farming and is succeeding as a farmer. “I attended Methodist High School, Arigbajo, in Ogun State, and the school had a vast expanse of land, where we practiced farming. In those days, we produced varieties of food crops, ranging from cassava to maize, beans, groundnut, potato, pepper and others. “Apart from the 80 minutes, which was allocated to practical agriculture, some of us, after school hours, and on weekends, still went back to our portions to do whatever we considered necessary to guarantee a good yield during harvest,” he said. 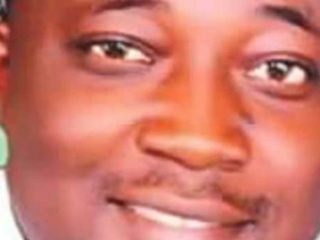 Just as those that skipped practical agriculture classes were punished at Owoeye’s Methodist High School, Arigbajo, in Ogun State, Plateau State-based, Godwill Dankat, said same fate befell those that avoided these classes in his school. Dankat, now a renowned mechanised farmer in Jos recalled, “When I was in primary school, the school had a large expanse of land set aside for school farm, and we produced large quantities of assorted food crops. Any pupil that skipped these practical classes would be subjected to corporal punishment, including suspension. “For science students, who were mandated to pick Agricultural Science as one of their compulsory subjects, their allotted portions were usually larger than their arts counterparts,” he said. In the 1960s, 1970s, 1980s and early 1990s, school farming was a major component of the schools’ curriculum, and there were no exemptions as to who participated in practical agriculture and who does not. All pupils trooped to the farms at the designated time. The idea behind this was to make agriculture an integral part of the school culture, so that students are well positioned to appreciate farming, and make it a lifestyle even when they do not intend to specialise in it. The Federal Government has at different times come up with programmes and policies that are aimed at entrenching this lifestyle among pupils and youths, but it appears all these initiatives are yet to strike the right cord across board, as reflected by the disappearing school farms. In order to facilitate this internalisation process, the National Education Research Council (NERDC) in 2008, spearheaded the setting up of the Agricultural Science Curriculum to ensure the acquisition of productive (entrepreneurial) work skills through prescribed activities and projects, which are inherent aspects of the applied technology called agriculture. According to the body, there should be teacher orientation, training and re-training for effective delivery. Schools were to be provided with necessary logistics for the successful implementation of the whole agricultural science curriculum; while the school farms were to be seen as fields or laboratories for the training of the basic education learners, with the basic focus being on skills development, and self reliance. Sadly, school farms are not there any longer, and a multitude of schools are without the full complement of adequate infrastructure, hence no space to be set aside for cultivation. Ironically, in rural areas where school premises still sprawl across several acres of land, there is severe dearth of pupils to cultivate the farms as part of their study. The Guardian learnt that in such cases, teachers hire labourers to work on the farms for a fee. Once this is the case, the produce usually do not go to the school, but to the hands that cultivated the land. The campaign had the specific focus of increasing food production on the premise that availability of cheap food would ensure a higher nutrition level and invariably lead to national development. In the programme, which did not last long, schools at all levels were also encouraged to establish viable farms and produce food for pupils’ consumption and for the public. Unfortunately, the policy suffered set backs due to lack of infrastructure in the rural areas. Since then, several administrations have tinkered with plans to boost food production, but to no avail. Government has always harped on the need to replace the aging farming population with the younger generation, but divorcing the younger generation from farming early in life (through the disappearing school farms), has ensured that they remain apathetic to the practice in latter life. Like its predecessors, the Muhammadu Buhari-led administration also came up with an agriculture promotion policy, which is aimed at improving food security, both for consumption and export purposes. Embedded in the policy is the drive to bring back the school farming programme. Under this policy, secondary schools are encouraged to set up agric-school clubs, where students are taught about farming practices and encouraged to own farms. These steps, according to the Director of Information, Federal Ministry of Agriculture and Rural Development, Mr. Tolu Makinde, would help catch them young and inculcate the love of farming in young Nigerians. Makinde maintained that farms would be established in the schools to enable students not only learn the theoretical aspect of agriculture, but also practicalise what they are taught. He further explained that at the tertiary level, it becomes simplified as young Nigerians can decide to study agriculture. He said the ministry has also partnered the National Youth Service Corps (NYSC), where youths would be trained on agriculture value chain during the orientation camp. However, experts have faulted the sustenance of the policy, saying the Land Use Act under the 1999 Constitution places land ownership under the purview of the state government, and there is a limit to which the Federal Government can compel states to establish demonstration farms in all government schools across the federation. They further pointed out that agriculture is more of practical than theory, and to fully engage students in farming practices, they must be encouraged to own farms, if state governments are ready to support the idea. They also lamented government’s inability to improve mechanisation in the sector, adding that no youths would want to farm with hoes and cutlasses, as they would be more interested in using farm implements like tractors, ridgers, and harvesters among others. The experts also added that if government was actually interested in making youths embrace farming, they must be encouraged through mechanised agriculture. On his part, Dankat a mechanised farmer lamented that the splitting of the Federal Ministry of Agriculture into other ministries, departments, agencies (MDA’s), and the Ministry of Environment, led to the duplication of functions that have no tangible results. He added that schools can no longer afford to venture into farming as they need inputs, and there are no funds to sustain these huge costs in schools. “Students who make agriculture their course of study only end up in the laboratories during examinations. They cannot go to the field for practical classes because of the high cost of doing so. Today, schools cannot even boast of school farms because of herdsmen/farmers’ clashes. Across the country, some states are making subtle effort towards sustaining school farms, while most states are neither here nor there, especially as other developmental projects are competing with and swallowing up spaces hitherto used for school farms. Kaduna State is about the highest producer of ginger in the country. The state is also famed for the production of garlic, groundnut, soya beans, sorghum, pepper and tomato among other things. But for some strange reasons, youths in the state are not exposed to school farming the way the government is making conscious efforts to expose them to skills acquisition and other empowerment programmes, which would avail them of productive skills. The Guardian observed that while skills such as soap making, bead making, as well as ICT are taught in most schools, very little premium is placed on farming in schools across the state. But the Director of Public Schools, Ministry of Education, Science and Technology, Ahuru Musa Anchau, claimed that school farms still exist in some schools. “Here in Kaduna metropolis, you hardly see students farm, but they do have gardens, which is part of it. Governor, Ifeanyi Ugwuanyi of Enugu State, in his inaugural speech in 2015, spoke seriously about using agriculture to transform and improve the revenue base of the state, especially in the face of the low oil revenue, which is stunting developmental efforts. If he were to be taken seriously, by now, public schools across the state (especially boarding schools) would double as centres where the basics of agriculture are taught and practicalised. But investigations reveal that much of the emphasis placed on agricultural study have not translated to practical realities. School farms that used to be commonplace are no longer there, just as there are several public schools without farmlands. Ironically, while other structures, both legal and illegal (including residential structure) have narrowed down spaces in public schools in urban centres, their counterparts in rural areas do not have enough students to cultivate them. In others, their farmlands have been converted to private residential areas. Worst hit are schools located in the urban, which though boast qualified agric teachers, but have failed to make their students appreciate the benefits of the study in practicality. What, however, got many residents of the state talking was when the state government moved into some secondary schools (located in urban centres, with qualified agriculture teachers) and sold off their farmlands to individuals, who are now constructing private residential estates on them. This untoward development, many said signaled the death of schools farms in Enugu State. An angry teacher in a government secondary school in the New Layout area of the state capital told The Guardian, that “practical agriculture may be phased out of our school’s curriculum the way our government is going. “Before now, our students owned farms in the schools, and practical farming formed part of continuous assessment. Our supervisors usually go round the farms to look at the crops, look at their yield, and how well they have managed what they were given. With all these happening, the knowledge acquired by the students stick with them for many years to come. 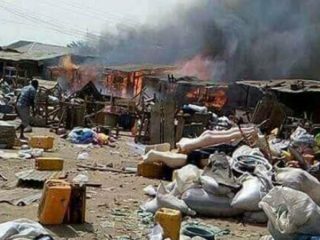 But I don’t understand what is happening presently, especially after some persons came in one morning, demolished the farms, including those with crops and started selling them off. The situation at Queens School, Enugu, is slightly different. A teacher there, Mrs. Ogor Ugwu, said the school has ensured that its students, especially the science-inclined ones maximise the available land for school farming. “We don’t have enough land, but our story is different from what you get in other schools. We have portions for our teachers and students to farm. Since we don’t have enough, what we usually do is to make the students farm collectively in the school farm. In this kind of arrangement, they are not scored individually, but collectively. On whether schools get any assistance from the state government in order to popularise agriculture, she said: “I know that the government usually trains agriculture teachers and provide seedlings to us. We have not come to the stage, where schools can generate money on their own through their harvested products. In Imo State, the House of Assembly recently passed a bill making school farming compulsory for secondary schools students. The bill makes provision for all forms of school farming and practicals in agriculture to take place in affected institutions. A retired principal, who simply identified himself as Nwosu, said before he retired in 2015, school demonstration farms were not taken serious. He therefore advised that lip service should not be paid in attempts to resuscitate school farms in both private and public schools. Like in many other states, Plateau State is a clear departure from the past. Practical agriculture is now largely history in both primary and secondary schools. In some of the schools visited in Jos metropolis, their heads, who preferred to remain anonymous said as important as agriculture is to the nation, they were hamstrung because of inadequate land to practicalise what the pupils were being taught. They added that they were even finding it difficult to expand their infrastructure, as schools were increasingly being hemmed in by residential and commercial buildings. For instance, according to the Principal of Community Secondary School, Nakogi, Mr. Jonathan Daniel, being a community school, the school had close to five acres of land earmarked for farming, which still remains the main occupation of the community. “Each student was allocated a portion of the land to farm as part of his or her practicals. Some of the crops cultivated then included maize, beans, Irish potatoes, cassava, and vegetables. In those days, final year students’ examination used to be between May and July. So, as examination approached, four to eight months were used to plant the seedlings, nurse them, after which the assessments were done. At times that the school would record bumper harvest, the students were fed from the produce, while proceeds from the ones sold were used to develop the school. “But today, we don’t have the advantage of the past. Practical agriculture no longer works due to many factors and challenges, which include human activities, inadequate funding, changes in weather, erosion and insecurity among others,” the retired school head stated. Transversing schools in Ondo State presents a peculiar picture- most of them, be they private or public are in dire need of space to put in place adequate structures to operate. Consequently, not so much attention is paid to school farming. Most primary schools are owned by individuals, and these schools are sited on small parcels of land that seldom have room for playgrounds and other recreational facilities, not to talk of school farms. One primary school teacher, who spoke anonymously said, “my boss, the proprietor of the school does not have any plan to create a school farm. Like him, most proprietors are mostly concerned with raising pupils that are preparing to become geeks, medical doctors, lawyers and other such professionals. So, the idea of creating school farms appears archaic to them. In other words, the idea of school farms to them connotes uncivilised living based on the way the society views agriculture. 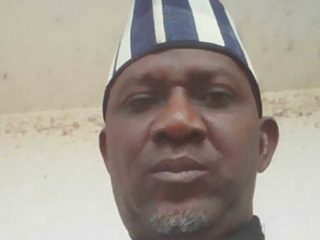 John Aladediwura, another teacher in a popular primary school in Akure metropolis, alongside some of his colleagues said no primary school can currently embark on school farming without massive support from the state government, considering the prevalent economic conditions in the state, and the age of pupils in the schools. For Ojo Oluwalana, a secondary school teacher, since agriculture has been part of the school’s curriculum for as long as anyone can remember, the practical aspect of it should equally be given the same attention as the theory. It is only with this mindset that efforts would be made to revive disappearing school farms. “But for now, the reverse is the case. The truth is, how many people are venturing into agriculture for the sake of passion? The little farms that still exist in our schools these days are the handiwork of teachers, who are into agriculture to augment their meagre salaries. Provost of Federal College of Agriculture Akure (FECA), Dr. Adeola Samson Odedina, agrees with Oluwalana that agriculture has always been in our schools’ curriculum from time immemorial, “but how are we approaching the practical aspect? 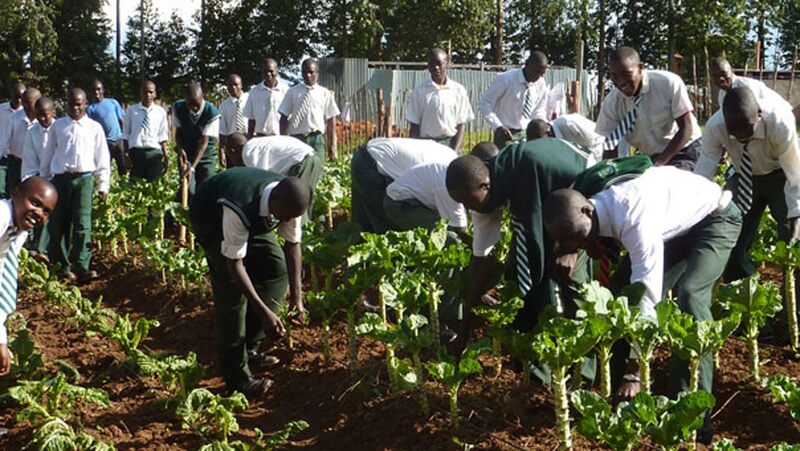 What strategy are we adopting to ensure that agriculture in schools is handled in such a way that from a very young age, pupils begin to take interest in farming? He continued: “Even if the teachers are qualified, are they aware of interesting areas of agriculture that will attract and sustain young minds? Practical Agriculture is not only about going to school to be handed hoes and cutlasses to begin to clear bushes and plant seeds. What about rearing chicken, rabbits and taking part in other livestock ventures? What about exposing the pupils to new emerging areas of agriculture, and the exciting young farmers club? What about sharing latest information on agriculture? What about media roles in secondary schools where advances in agriculture are relayed to the pupils? Much is actually not happening in Lagos State schools as far as school farms is concerned, due to the non-availability of space for farming. But schools in areas like Epe, Badagry and those on border communities still boast school farms no matter how minimal, compared to other areas. Ijegun Junior Grammar School, Ijegun, is one of the lucky schools that still finds space to farm. A senior official of the who spoke to The Guardian on condition of anonymity, said school farms are critical to meaningful engagement of students in practical agriculture. According to her, no matter how the school is, a small piece of land should be reserved for farming to enable students practice what they are being taught in the classroom. Underlining the importance of practical to learning, the official said what these students learn now would stay with them for many years and would be useful to them. Citing her experience, the teacher stated that the knitting knowledge she received during practical classes while in Primary 4 has remained with her till now. She, however, stressed that without a school farm to aid practical agriculture, any attempt to teach the subject may amount to moving blindly in the dark. She said in her school’s farm, where vegetables and cassava are cultivated, the students are taught how to weed, plant, water and nurture what they planted, adding that due to the success of the farm experiment, the school has had to involve outsiders to assist in processing cassava during harvest due to the large yield. She said the school also uses the opportunity to teach students how to process cassava into various staples. Director, Public Affairs, Lagos State Ministry of Education, Mr. Adesegun Ogundeji, said the state does not have an isolated policy on promoting farming in schools as it is embedded in the general education policy. Even though he admitted that some schools do not have land for farming, he said those that are lucky to do so, especially the modern colleges that are residential schools are encouraged by government to engage in poultry, fisheries, vegetable farming, planting of cassava etc.